In an effort to better ensure that Detroit’s pool of real estate developers truly reflects the city’s diversity and that minority real estate developers are able to participate in the myriad revitalization efforts currently taking place in the city, we have launched the Equitable Development Initiative. Charting a new path toward inclusive economic opportunity, this program combines our local knowledge, partnerships, and key strengths – including program design and project financing – to support minority developers in Detroit. Program participants engage in formal mixed-use real estate development training, workshops with local development experts and City of Detroit leaders, and discussions around challenges and opportunities for minority developers in Detroit. Participants will receive one-on-one support from both a Developer Mentor and a Finance Mentor. These local experts will provide project-specific guidance to further participants’ real estate development efforts. Capital Impact will work with program participants to connect them to project financing options, leveraging the tools they’ve gained to strengthen their financing applications. 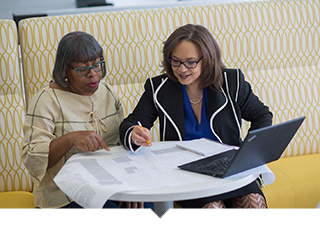 The Detroit Equitable Development Initiative launched in 2018, with the goal of supporting qualified real estate developers of color seeking to build wealth through Detroit real estate development and training opportunities. Identify as racial or ethnic minorities. 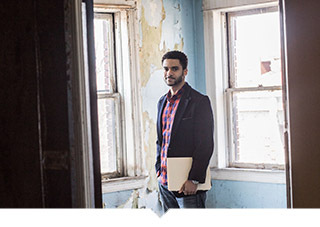 Be actively working to further careers in real estate development in the Detroit area. Live in metro Detroit and have a strong connection to the city. Have some real estate development experience; this is not an introductory program. 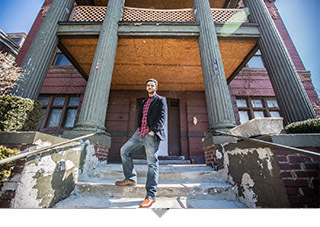 Demonstrate a commitment to Detroit’s revitalization. Be working on a specific real estate project in Detroit OR be interested in responding to requests for proposals (RFPs) for Detroit-based real estate development opportunities with or without a development partner in the next 1-2 years. Have a multifamily rental component, with at least 20 percent of the units programmed to serve households earning less than 80 percent of the Area Median Income for Wayne County. Be located in the greater downtown or a City of Detroit Multifamily Planning Area. If NOT working on a specific real estate project, be prepared to use a current or recent Detroit project as a case study in order to complete the program objectives and coursework. Be able to commit to in-class training sessions on a weekday for up to five (5) hours per week from February through mid-June 2019. We will update this page when the program is open to new applicants. We would like to thank our partners at JPMorgan Chase for their generous support of the Equitable Development Initiative and our broader efforts to create a more inclusive Detroit. We invite you to learn more about the Equitable Development Initiative participants in this in-depth story and set of videos. Through capital and commitment, we help people and communities break the barriers to success. That impact is illustrated through minority developers that we have partnered with across the country to ensure that low-income communities have access to the critical social services they need to thrive. Here are a few of their stories. 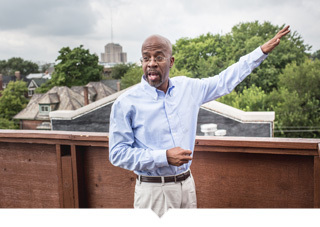 When Richard Hosey returned to his hometown in 2008, the economic downturn had completely changed the city he remembered. 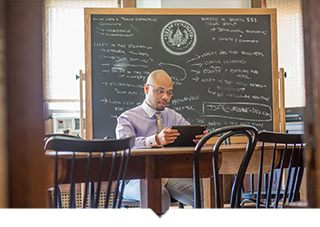 With help from Capital Impact, the Detroit native has focused his efforts on returning the city to its former greatness through projects that foster inclusive growth for all residents. The EDI program launched with promising individuals representing a broad spectrum of community development expertise. Follow along as we take a deep dive with three participants to learn more about their backgrounds and their future plans. An immigrant from Iraq, Sam Shina made Detroit his hometown in the 1980s and never left. 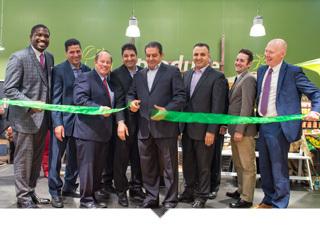 Through good times and bad, residents have relied on his stores for healthy food options. His partnership with Capital Impact has helped him continue to grow and expand to meet residents’ needs. Capital Impact is committed to working with key stakeholders in Detroit to successfully implement an inclusive growth strategy that grows the economy while protecting current and future residents. This video illustrates highlights some of the developers we are working with to bring this vision to life.